People with tension-type headache (TTH), as well as headache pain, usually suffer from pericranial muscle tenderness and increased cervical muscle tone. Physical and physiological outcomes related to musculoskeletal function, however, are not commonly assessed in clinical studies and not systematically proposed as outcome measures in headache-related practice guidelines In order to address this the authors conducted this study to review which musculoskeletal outcomes are used in the clinical assessment of patients with TTH and which are associated with headache pain and related dysfunction. They conducted literature searches in MEDLINE, PubMed, the Cochrane databases and EMBASE using terms associated with musculoskeletal physical outcomes in TTH. Twenty-six studies met their selection criteria. Physiological outcomes usually reported in laboratory studies were trigger points, pressure pain threshold, range of motion and tenderness. A greater number of trigger points and lower pressure pain threshold were reported in patients with episodic TTH when compared to healthy subjects. Individuals with chronic TTH, when compared with non-headache controls, consistently showed a greater number of trigger points, a lower value of pressure pain threshold and a more severe forward head posture. 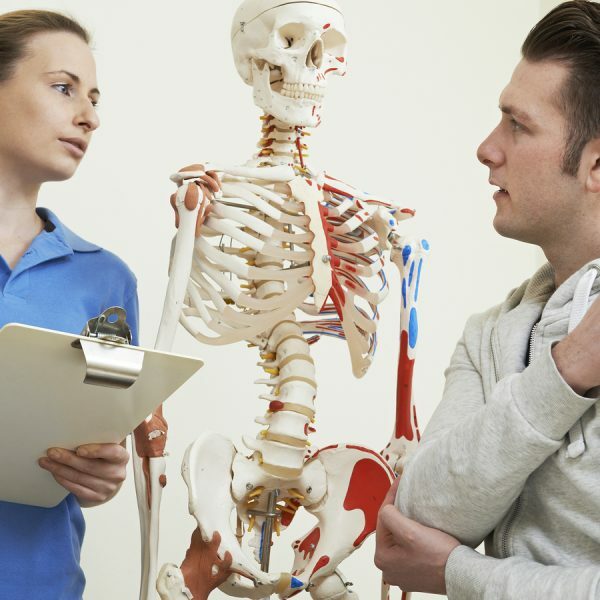 They concluded that musculoskeletal outcomes, such as trigger points, pressure pain threshold and forward head posture should be assessed for TTH pathophysiology, diagnosis and interdisciplinary patient care.